FastCast4u | How to configure Winamp with SHOUTcast DSP Plugin? Help | How to configure Winamp with SHOUTcast DSP Plugin? If you do not have all required software yet, you can easily download Winamp and SHOUTcast DSP Plugin from our website. 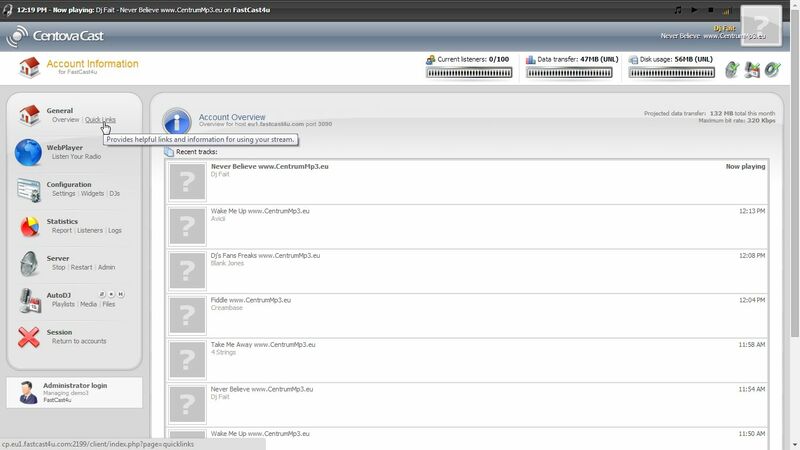 Before you start the configuration process, log in to the Centova Cast Panel and select the Quick Links section. Open Winamp with a DSP plugin installed. If your DSP plugin did not open, then push CTRL + P and enter DSP/Effects under Plug-ins tab. 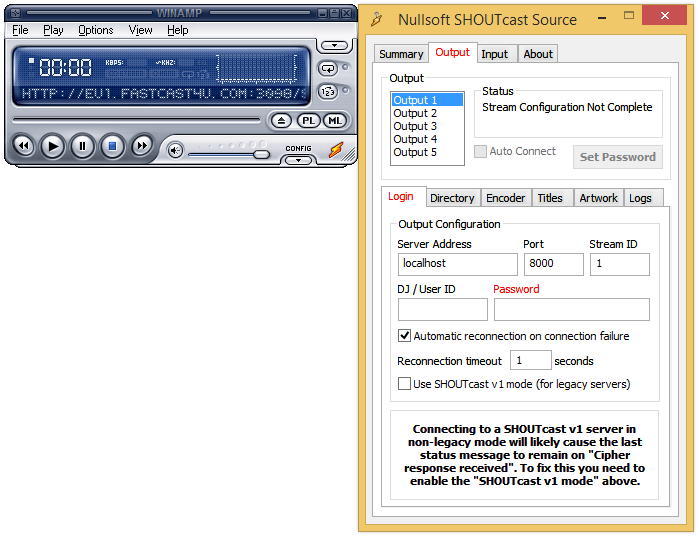 Then just double click Nullsoft SHOUTcast Source DSP. 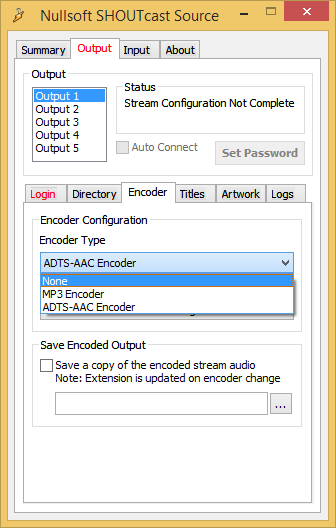 You will see an Encoder Settings button if you selected the AAC codec or a list with Encoder Settings if you selected MP3. 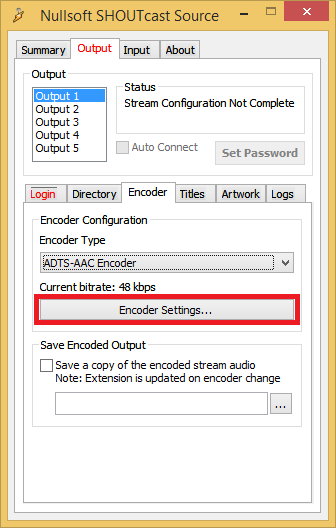 To adjust the bitrate for MP3 Encoder select it from the list, remember that the selected bitrate may not exceed the maximum bitrate of your server. 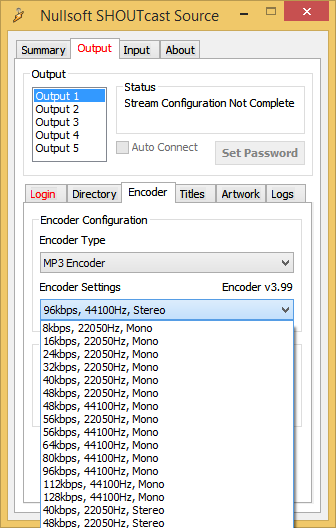 We recommend using only 44100 Hz Sample Rate for MP3 encoders. 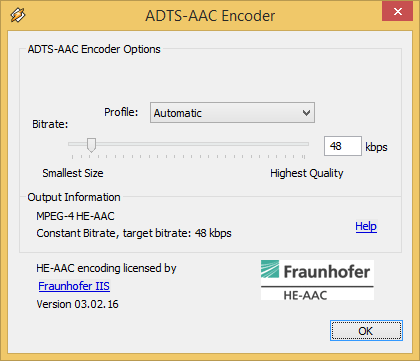 To change bitrate for an AAC+ Encoder, enter Encoder Settings button. The Sample rate (Hz) and settings of channels will set up automatically. A window with a bitrate slider will open. Select an appropriate bitrate. Remember, not to exceed your maximum limit, you can easily check it in Centova Cast Control Panel. 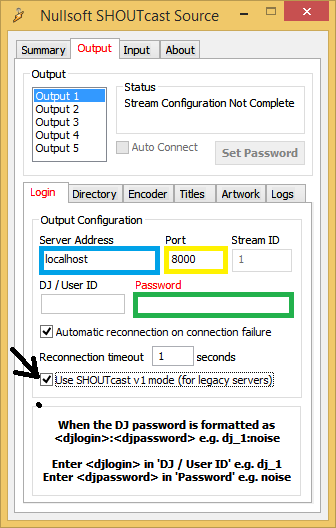 To enable Shoutcast v1, you have to check option "Use SHOUcast v1 mode (for legacy servers). 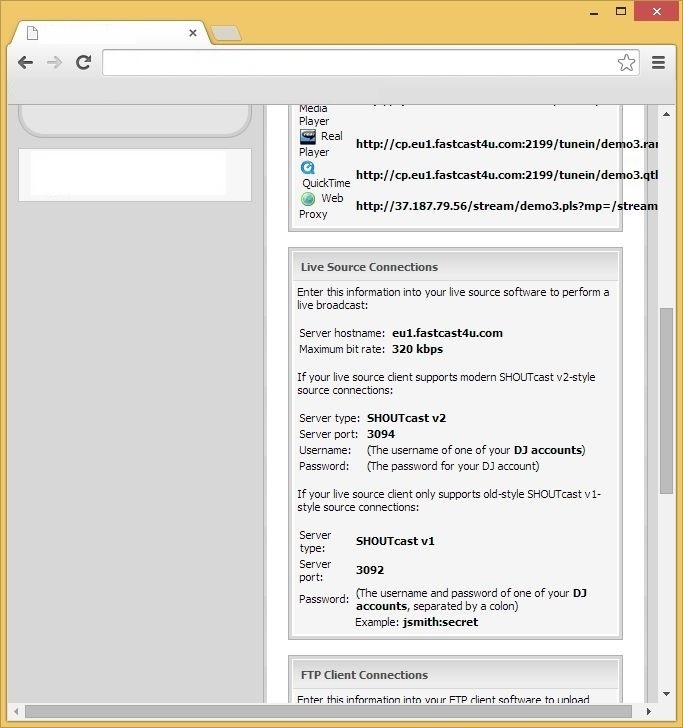 You need to enter the server address, port number and password. 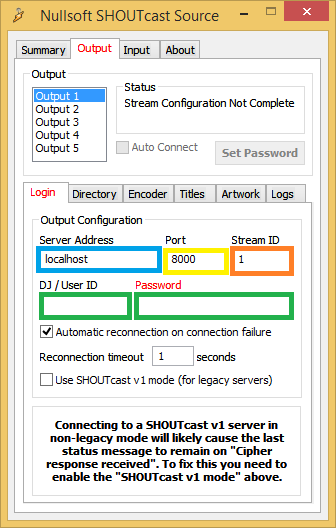 To connect to a Shoutcast v2 server, enter details marked on a screenshot below. You need to enter server address, port, DJ username, DJ password and Stream ID (mount point number, the default setting is "1"). 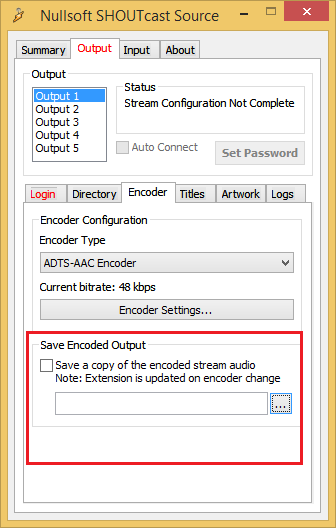 If you wish to record and save your stream, Select "Save Encoded Output", and choose the location where it should be saved.